File photos by Medina Kabir. More tenants were announced today by the East Long Beach development Long Beach Exchange (LBX), joining a diverse list of retailers already open for business. The 266,000-square-foot retail space is situated on the southwest corner of Lakewood Boulevard and Carson Street within Douglas Park. LBX features three distinct zones, including McGowen’s Approach, considered LBX’s “main street”, a central plaza named The Landing and The Hangar. Burnham-Ward Properties, the developers, owners and operators of LBX, today officially announced the most recent lineup of tenants (including some previously reported by the Post in this May article). The tenants are set to open at The Hangar on a rolling basis beginning late summer/early fall 2018, according to the release. While only eight tenants have been announced, a total of 14 artisan, boutique eateries and retailers will open at this location. The tenants include The Kroft, a casual gastropub featuring dishes like poutine and “market-driven sandwiches and delectable sides all made from scratch”, DonerG’s, serving up Turkish cuisine like its signature Doner Kebab, Bottlecraft, a boutique beer bar that curates local, domestic and international craft beer andAmor Y Tacos, an Alta California-specialized restaurant and cocktail bar inspired by the chef’s Mexican roots growing up Chicano in LA. Other eateries heading to LBX are Bite Mi, a Vietnamese fast-food restaurant offering affordable sandwiches and spring rolls, Plaid Sheep Grilled Cheese Bar, the first location for the sister concept to Black Sheep GCB in the Anaheim Packing House that features an artisan grilled cheese bar with vegan and gluten free options, Popbar, a frozen dessert establishment serving customizable, all natural, handcrafted gelato on a stick, as well as Portola Coffee Roasters, a coffeehouse providing “fresh-roasted and fresh-brewed coffee, presented in an artful context”. 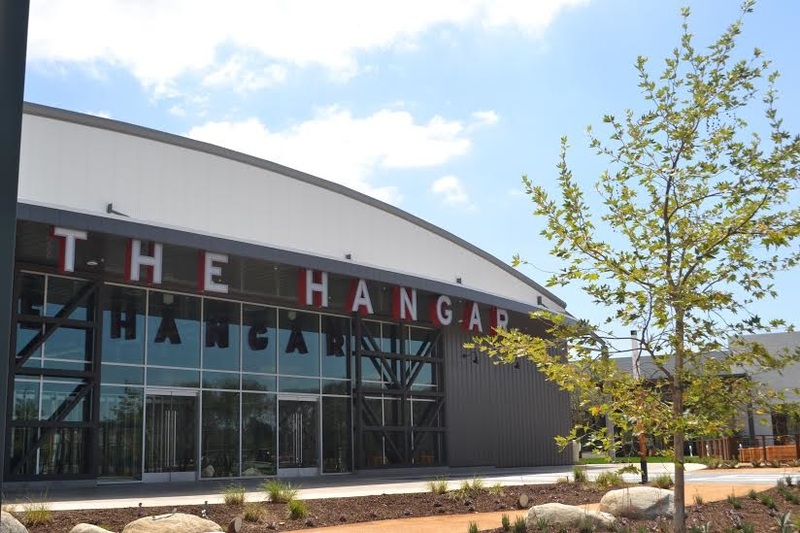 The Hangar is a 16,800-square-foot enclosed hangar-inspired space designed as the heart of the development that pays homage to the site’s aviation history, according to LBX. It features soaring, exposed-beam ceilings and a modern industrial feel slated to open late summer/early fall 2018. 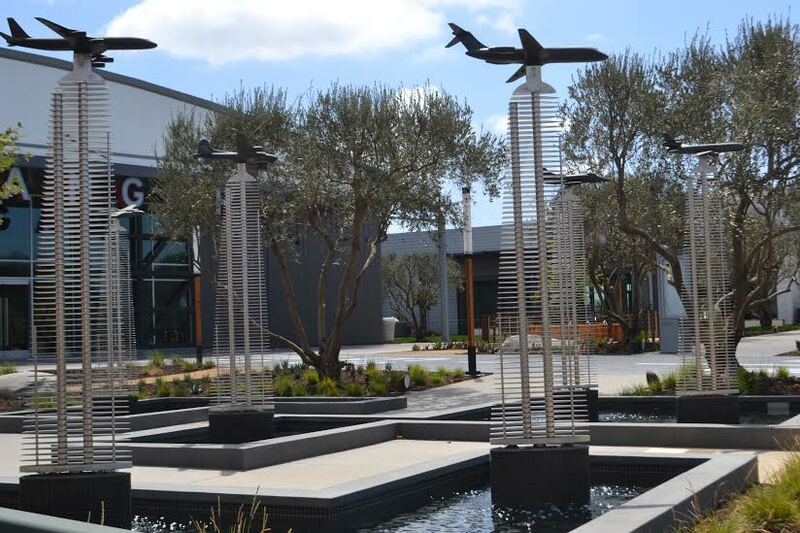 LBX also features a large public plaza called The Runway just outside The Hangar that encompasses a grass lawn with outdoor movie screen, a large covered picnic/dining area, an herb garden and an installation of original bronze airplane models that represent the aviation history made on the site, according to the release, with each bronze mounted on pedestals within a larger fountain design.